Includes a sacred mandala foot bath, foot scrub, foot wrap, moisturizer and a hot stone foot massage. Includes a sacred mandala foot bath, ancient fire cupping, Reiki, stone Chakra energy healing and Thai foot reflexology. Includes aromatherapy hot towel massage, sacred mandala foot bath, foot scrub and deep foot moisturizer. Includes a Swedish or deep tissue massage and a Seaweed body wrap. Includes hot stone massage, sacred mandala foot bath, foot scrub and a deep foot moisturizer. Includes traditional Thai massage followed by a moroccan mud body wrap. Includes a full body sea salt scrub followed by a seaweed body wrap. Includes hot stone massage, followed by a body wrap of choice and sacred mandala foot bath. Includes traditional Thai Massage, followed by a body wrap of choice and a sacred mandala foot bath. 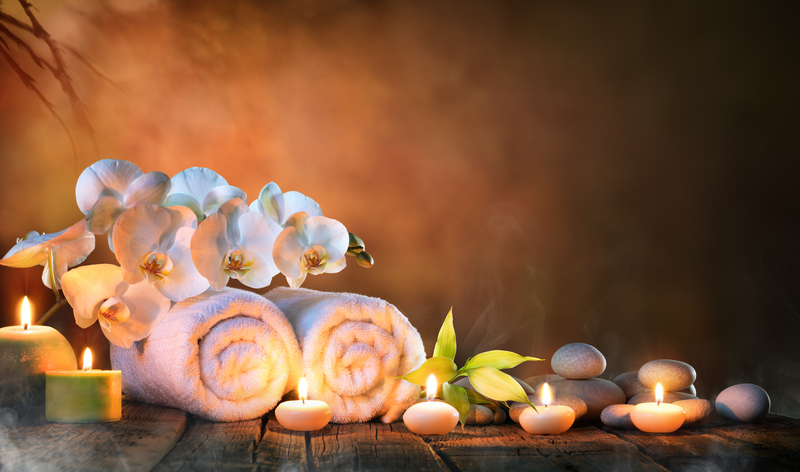 Includes a full body scrub with extended swedish or deep tissue massage, followed by an moroccan mud body wrap and sacred mandala foot bath.